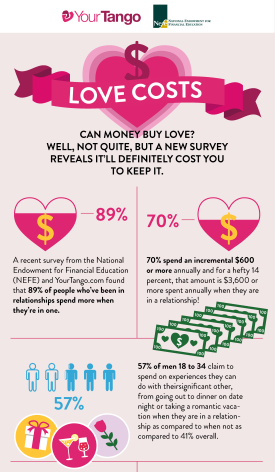 As in prior years, NEFE commissioned several Harris Polls in 2015 to gain insight into Americans’ thoughts and behaviors related to money. In a survey to kick off the New Year, we found that nearly 7 in 10 (64 percent) of adults in the top 10 U.S. markets planned to make a financially-focused goal in 2015 and that 1 in 3 (31 percent) rated the quality of their financial life as worse than they expect it to be.A February Harris Poll on “Love Costs” uncovered that 7 in 10 (69 percent) of Americans say they spend more money while in a relationship versus when they are single — although married people tend to spend less on gifts than those who are dating. And a summertime poll on technology usage found that 54 percent of Americans have used technology to set or achieve a goal, with 27 percent of those reporting that they’ve used technology to better manage their finances. 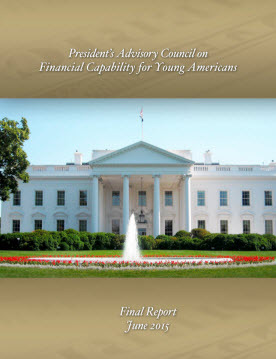 Charged by the U.S. Department of Treasury and the Obama administration to recommend ways to improve the financial skills of young Americans, the President’s Advisory Council on Financial Capability issued its final report in June. The report mentioned notable initiatives currently underway at private sector and nonprofit organizations, including several NEFE projects. The Council included NEFE President and CEO Ted Beck, the Secretary of the Treasury, the Secretary of Education, the Director of the Consumer Financial Protection Bureau and 22 nongovernmental members appointed by President Obama. MoneyTeach.org launched with support from NEFE to help instructors with little or no financial education background access vetted resources and insight from experienced financial educators. Jointly developed by the Take Charge America Institute and housed at the University of Arizona, Money Teach is an online portal to noncommercial resources from a variety of providers and a forum to discuss what works and what doesn’t in financial education. Researchers at Columbia University released their final report of a NEFE-funded project that explored real-world financial outcomes for aging adults. The world’s 65-and-older population will double by 2035, and declines in cognitive ability due to normal aging raise the specter that older adults may find financial decisions increasingly challenging. This study explores whether knowledge and expertise accumulated from past decisions can offset age-related cognitive declines. Using a unique dataset that combines measures of cognitive ability, knowledge and credit scores, researchers found that cognitive decline does not have to spell doom. 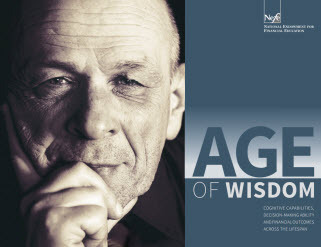 Instead, wisdom gained over the years can provide an alternative route to sound financial decisions. While many adults (32 percent) realize the benefit of an emergency savings account, nearly half (48 percent) of respondents in a 2014 NEFE-Harris Poll reported living paycheck to paycheck, and 36 percent said they still rely on credit cards when faced with an emergency expense. 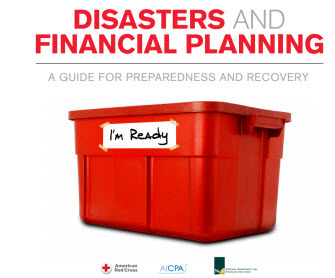 In 2015, NEFE updated a resource in collaboration with the American Red Cross and the American Institute of CPAs (AICPA) called Disasters and Financial Planning: A Guide for Planning and Recovery. This comprehensive, interactive guide helps people take proactive steps to minimize the potential impact of disasters on their lives and financial well-being. Search for Disaster Planning at www.SmartAboutMoney.org. 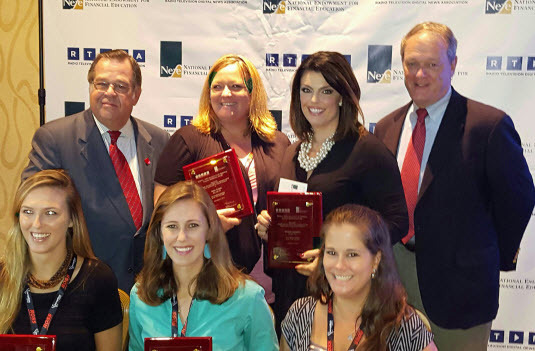 NEFE presented its fourth annual financial reporting awards in partnership with the Radio Television Digital News Association (RTDNA) at the Excellence in Journalism convention in September. We recognized five winners for their outstanding reporting of consumer financial issues: Blake Ellis and Melanie Hicken of CNNMoney.com won the digital award for their investigative report on “The Secret World of Government Debt Collection”; Michelle Mortensen and Sarita Kichok of KLAS-TV in Las Vegas won the television category for their series titled “8 On Your Side”; and Courtney Collins of KERA-FM in Dallas won the radio category for her ongoing series “One Crisis Away,” looking at families experiencing financial fragility due to events like illness and job loss. “One Crisis Away” also took home the first-ever Excellence in Consumer Finance Reporting Award presented by NEFE and the Public Radio News Directors Incorporated (PRNDI) at the PRNDI annual conference in Salt Lake City in June. 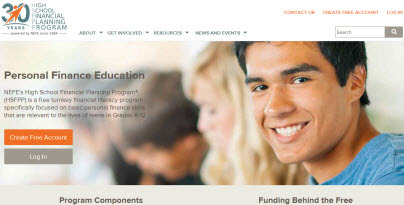 NEFE’s High School Financial Planning Program (HSFPP) website and the informational site for our college program, CashCourse, both got fresh new looks in 2015. The HSFPP site redesign makes the site easier to view on mobile devices, allows instructors to toggle between the instructor site and student site, and improves the experience of downloading materials. The new www.HSFPP.org also adds a blog and links to NEFE’s On Your Own young adult blog (www.OnYourOwn.org). CashCourse’s informational and marketing site, www.CashCourse.org/info, now has an updated look and feel that better matches the visual style of the main site. In addition, the new site makes it easier to enroll in the program. 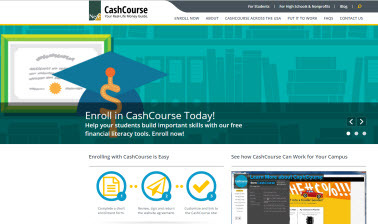 CashCourse also unveiled a new blog where users can find news and updates from CashCourse and NEFE, as well as success stories from a few of the more than 900 CashCourse schools across the nation.